This Library Guide focuses on persuasive writing, or argument. While some of the contents may pertain to spoken rhetoric (debate/speech), the emphasis is on written rhetoric such as papers frequently assigned in freshman composition classes. 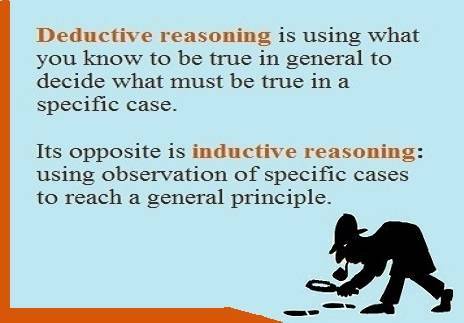 This page offers information on what does and does not constitute argument and also compares inductive reasoning with deductive reasoning. There are many ways to define the word "argument." One way is to use the definitions found in a standard dictionary. Another, and probably a more appropriate way for argumentative writing, is to use the "philosophical definition." An argument is not the same thing as a quarrel. The goal of an argument is not to attack your opponent, or to impress your audience. The goal of an argument is to offer good reasons in support of your conclusion, reasons that all parties to your dispute can accept. Nor is an argument just the denial of what the other person says. Even if what your opponent says is wrong and you know it to be wrong, to resolve your dispute you have to produce arguments. And you haven't yet produced an argument against your opponent until you offer some reasons that show him to be wrong. An Argument is NOT . . .
ideas that are unfounded by logic or empirical truth.